National Protective Services is pleased to announce that its CEO Rachaell Saunders has been re-appointed as a Board Director of the Australian Security Industry Association Ltd (ASIAL). ASIAL is the largest security industry association representing the security industry, and its members account for about 85 per cent of the industry. This is Ms Saunders’ second term on the Board. 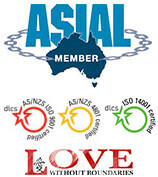 “It’s a privilege to have been re-appointed an ASIAL Board Director. I’m looking forward to continuing to work in line with its mission to support members, promote standards and safeguard public interests,” Ms Saunders says. ASIAL provides advice, assistance and representation to members in the security sector, including owners and operators of security businesses providing all forms of manpower, cash in transit, electronic and associated security services.